A rare opportunity to see into the development process of a play! Come see the workshop reading of this play by Mark Lowenstern, in the Wilkerson Theater at the R25 Arts Complex, home of California Stage. One Performance Only: April 27, 2019. Directed by Megan Cooper, read by Janis Stevens, Richard Falcon, Ernesto Bustos, Erin Renfree, Jim Anderson, Olivia Lopez, Monica Vejar, Richard Winters and Joss Lucio. Ray Tatar, Artistic Director of California Stage Theater, has offered a few seats for people interested in following the development of a play from the reading of a first draft through to the opening night of the finished play. Playwright Mark Loewenstern has presented us with a searing vision of the complex Ms. Puente. 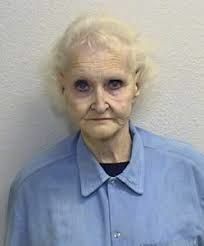 Part con-artist, part schemer and consummate liar, Dorothea worms her way into the good graces of the social services system, the police department and even the inner circle of the Bishop of Sacramento. Dorothea falsely portrays herself as a Mexican immigrant and a wealthy benefactor of the Latino community, all the while cashing the government support checks of her boarders, people she has buried in her back yard. Call 916-451-5822 or email calstage@gmail.com.